The Comark GT500K Grill Surface Thermometer with Dial, 0F to 500F takes some of the guesswork out of grill cooking. This Comark Grill Thermometer has sturdy magnetic feet to keep it in place during use. While bold numbers make the Grill Thermometer easy to read. 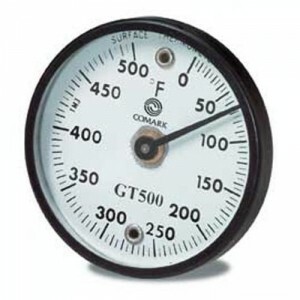 Always know your grill is ready to go with the Comark GT500K Grill Surface Thermometer with Dial, 0F to 500F.